Thaddeus Novak, feature basketball writer for the Bleacher Report, joins us to talk about the Saturday games and preview the finals. Cleveland sports legend Bob Karlovec joins us to talk about the Browns, Cavs and Indians. Vittorio Tafur Raider beat writer for the San Francisco Chronicle joins us to talk about the Raiders plans for 2012. Hunter Stewart editor of New NFL Draft.com joins us to talk about the draft and combine results. Michael Young, NBA analyst joins us to talk about the second half of the season and the prospects of the Cavs. Our good friend Bob Karlovec can be heard tonight on WDLW 1380 AM and http://www.loraincounty.com/ doing girls basketball playoffs. 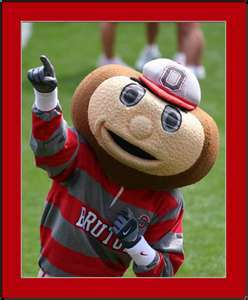 Tim Bielik OSU and Browns beat writer for the Loraine Morning Journal joins us to talk about the Bucks basketball and the football recruiting. Samantha Bunten Browns and Indian beat writer for the Bleacher Report joins us to talk about the Indians’ off season and her article http://bleacherreport.com/articles/1037335-wrs-the-cleveland-browns-must-target-through-draft-and-free-agency. David Kay, basketball beat writer for Walterfootball.com joins the show to talk about the NBA and the Cavs. Also join Tubbydawg Saturday night at 8 PM EST for his show on http://www.blogtv.com/people/tubbydawg . Tim Bielik OSU and Browns beat writer for the Loraine Morning Journal joins us to talk about Bucks basketball. Samantha Bunten Indians beat writer for the Bleacher report joins us to talk about the Browns, Cavs and even a little Indian news. Tim Bielik OSU and Browns beat writer for the Loraine Morning Journal joins us to talk about the Bucks loss to Illinois last night. Eric Galko, Dir. 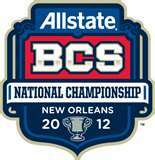 Scouting for Optimum Scouting joins us to talk about the players in the BCS Championship game that might come out for the 2012 NFL Draft. NNR at 6PM EST follows the Moohead show at 5PM. Join Mr. Moohead on http://mooheadradio.com/2.0/ after early Cavs games for his post-game chat. Also join Tubbydawg on Saturday night at 8 PM on http://www.ustream.tv/channel/tubbydawgsportstalk.